Jo’s grandparents are struggling with their cafe and with Jo not really finding the love in teaching she offers to come back and give a hand. It is not until she returns to Salthaven that she realises what a mess they are in and the hard work she is facing. However Jo approaches it all with such enthusiasm that I was immediately transported to the cafe to watch as Jo not only manages to breathe life back into the cafe but the community and also people’s love lives. 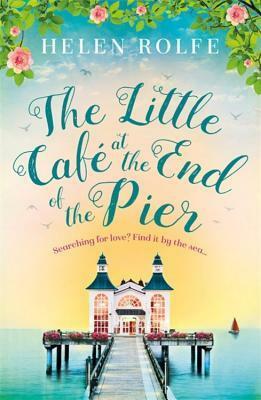 Trouble is she is neglecting her own passions as she enthuses so much about the cafe and helping other people. Taking us through the seasons, we see Jo embrace the various fruit and vegetables that are delivered daily from Matt at the local farm – if you want to eat seasonally, this book would help! If you want to go on a diet this book is like torture! The food sounds delicious and I could almost smell it cooking as I read on as Jo tries all sorts of interesting combinations. Steve, the local handyman and hardened surfer whatever the weather is a regular customer and fixer of the cafe and despite his physique eats quite a lot of things he shouldn’t. The five parts which make up this novel are out now on kindle and the full book is published on the 24 January.